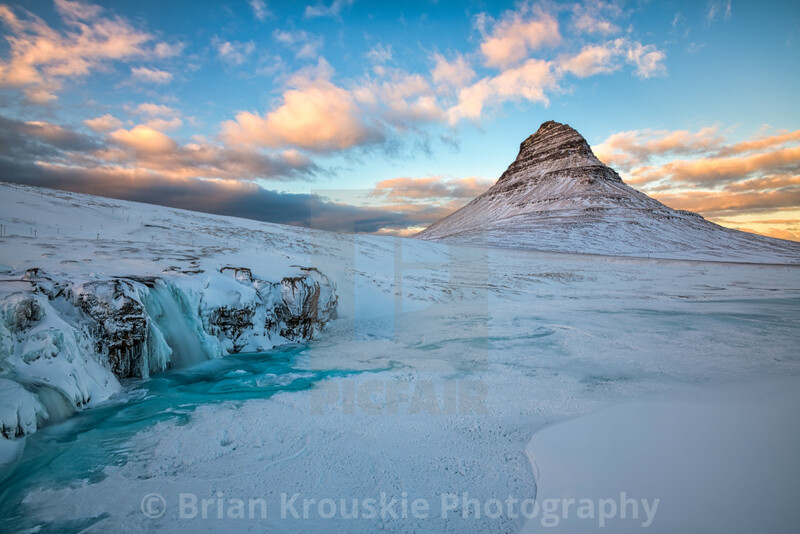 A magical winter sunset at Kirkjufell (Church Mountain) along the Snaefellsness Peninsula in Western Iceland. This image shows a portion of the Kirkjufellfoss waterfall and it's glacial flow in the foreground. This area of Iceland was featured prominently in seasons 6 and 7 of the HBO show "Game of Thrones".